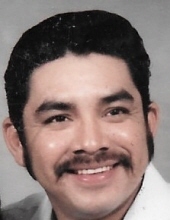 Celebrating the life of Carlos Charles Jr.
Obituary for Carlos Charles Jr.
Mr. Carlos Charles Jr., of Hereford, Texas, passed away Thursday, August 9th, at the age of 66. Carlos was born on June 3, 1952 in Uvalde, Texas to Carlos Charles Sr. and Amparo Rodriguez Charles. The family moved to Hereford in 1961. He completed 8th grade and learned his trade as an electrician while working under mentors Ed Sanders and Earl Washington at Brandon and Clark in Hereford, Texas. Mr. Charles worked as an electrician for 20 years at Frito Lay, also in Hereford, Texas. Carlos loved all the children in the family and enjoyed spending his time with them. He was also a fan of Elvis Presley and his music. People knew him as always willing to help and could knock on his door any time and get advice on every electrical problem. Mr. Charles leaves behind his parents Charles Sr. and Amparo Charles of Hereford, Texas, as well as his daughters Priscilla and Cynthia Charles of Amarillo, Texas and grandson Jaden Crawford, also of Amarillo, Texas. Carlos’ sisters Leticia and husband Jose Alfa Sanchez, Carolina and husband Billy Luna, and Violet Briones, all of Hereford, Texas and his brother Arthur Charles of Amarillo, Texas also survive him. In addition, numerous nieces, nephews, cousins, and friends will remember him with love in their hearts. Rosary to be recited at 6:00 pm. Fr. Anthony Neusch will be the celebrant. Burial to follow at St. Anthony's Cemetery. "Email Address" would like to share the life celebration of Carlos Charles Jr.. Click on the "link" to go to share a favorite memory or leave a condolence message for the family.